It can be a challenge to convince most guys that supplementing beyond muscle-building protein powder is a good thing. So let’s start there. If you’re a guy reading this (or if you’re reading this and know a guy), ProPeas is a natural way to supplement protein intake. Building lean muscles, maintaining a healthy weight and boosting a fat-burning metabolism are just a few benefits of pea protein for men of all ages. It’s plant-based, so ProPeas is a healthy alternative to consuming meat. Maintaining good health is often something that guys think about after there’s a problem. But proactive men know that eating (and sleeping) well, exercising and supplementing with AIM whole-food concentrates and natural health products contribute to their overall well-being and reduce the risk of many diseases. Chairman’s Club Director George McPherson has also been able to maintain an active lifestyle, and younger men and colleagues envy his strength and endurance. “I don’t know where I would be today without the AIM products,” George stated, relating the time many years ago when he was diagnosed with prostate cancer. Immediate surgery had been recommended. But he decided to opt for naturopathic IV treatments and AIM products, including the Garden Trio and Herbal Fiberblend along with ReAssure SP for prostate health. And to this day, George has never required the surgery. Almost 30 years ago, Chairman’s Club Director Dr. John Shewfelt began taking BarleyLife, which is his favorite food. John and his wife, Marilyn, along with their kids and grandkids have seen positive health benefits over the years by taking AIM products such as BarleyLife. From a young age, AIM Director Dan Nichols had an unhealthy fear of disease. His father died at the age of 53 from a heart attack and his grandmother had cancer. In 2003, he came across healthy eating and juicing. “I suddenly realized you could fight disease with nutrition,” Dan stated, noting he has also been involved with regular exercise since his teen years. Bruce Crevier, AIM Preferred Member and AIM-sponsored athlete, turned a childhood fascination with basketball spinning into an entertaining show that would eventually take him and his family all across the USA and to over forty countries. Bruce and his wife Diane and their 12 children even performed their “Spin-tacular Basketball Show” on episodes of America’s Got Talent. For good health, the Creviers had been juicing at home for many years but found it difficult to do when on the road. Finding The AIM Companies™ and whole-food concentrates like the Garden Trio allowed Bruce and his family to continue this healthy routine while traveling. And in 2017, the Creviers became the very first AIM-sponsored group whose demanding performances benefit from Nutrition that Works! AIM has been in the business of helping people with high-quality supplements since 1982. Many of those individuals are guys who know that AIM nutrition helps to keep them in good health. But there will always be room for more AIM supplement guys. The AIM Companies has been dedicated to improving the quality of people’s lives with life-changing products like BarleyLife, Peak Endurance and ProPeas and by rewarding passionate Members with a free-enterprise compensation plan. I was introduced to AIM’s barley grass powder by Carolyn and Jim Kling, Chairman’s Club Directors. They told me that it was quickly assimilated by the body. At that time, I was taking a bunch of vitamins and minerals, but I didn’t feel well. Right away these supplemental greens made a difference, and I felt better. It wasn’t an instant high; I just felt better. So I really got excited about it. That was about eighteen years ago now. It started out as a supplement. Now it’s an investment. Before being introduced to AIM, my health wasn’t good. Our family had a history of disease. Dad died early of cancer, mom had Parkinson’s and there was diabetes and a whole bunch of other issues too. So I wasn’t doing well at all. I ate and drank all the bad stuff. My wife Brenita and I started changing our diets. If you put the right fuel in your body, you start feeling a healthy difference. Then I found out about the Garden Trio. I take it in the morning, followed by two more servings of BarleyLife during the day. It helps with everything. I also learned about Herbal Fiberblend: it cleans out the plumbing so that nutrients can get through the intestinal wall. That stuff is really amazing. I also take Proancynol 2000, CellSparc 360, GinkgoSense, ReAssure SP and AIMega daily. As for my career, I started in construction when I was seventeen and worked as a general contractor building custom and high-end homes. Anyway, I began having a little problem with my memory. In carpentry and construction, you have got to remember numbers. I didn’t want to write them down, but I was having trouble remembering them well in my head. GinkgoSense made a big difference. It started clearing things up in my head. My memory just kind of improved and excelled. It even helps when you’re driving. If your memory is working well, it helps with everything. I started on ReAssure SP because I had an issue there, and it really helped me. All my tests are good and no prostate cancer. So I’m healthy, happy and very active at the age of eighty-seven. You can better help your community and family if you have good health. You can function better, and our goal is to keep improving. By the way, we are very pleased with AIM’s service as the products get to us very quickly. We’re so thankful for The AIM Companies™. Not only is the wintertime cold, but it is also dry. This is because cold air holds less water, making it drier. A parched, arctic environment can wreak havoc on the skin, causing an array of discomforts: itching, pain, outbreaks of eczema and psoriasis and, of course, the dreaded dry eyes. Faithful applications of lotion and moisturizer and fewer showers may help, and there are some dietary approaches as well. True vitamin deficiencies are rare in the developed world as we are more likely to be simply insufficient. However, it would be wise to make sure you’re getting adequate amounts of vitamin A, iodine and riboflavin (B2). Deficiencies in these vitamins can cause dry skin as well as other, greater problems. There is no better nutrition for your skin than omega fatty acids. It’s possible that they can be useful for almost any skin problem, including wrinkles. They play a key role in the upkeep of the cell membrane which lets the good stuff into the cell and throws the bad stuff out. A well functioning cell membrane also helps to prevent cellular dehydration. You may be taking vitamin C to prevent colds during the winter, but mighty vitamin C might help with dry skin, too. Vitamin C is a boon for the skin overall, and a study in the American Journal of Clinical Nutrition found evidence that vitamin C may relieve skin dryness. One of the symptoms of zinc deficiency is rough, dry skin, but zinc plays such a large role in skincare that it deserves its own bullet point. Many use zinc for acne, eczema and to ward off wrinkles. It provides general antioxidant protection for your skin and plays a big part in the stabilization of the cell membrane, an important component of cell hydration. Believe it or not, the bacteria in your gut can affect the quality of your skin. A belly full of healthy bacteria reduces inflammation. There is good evidence that unchecked inflammation empowers skin problems like acne, eczema and psoriasis. Probiotics assist the skin’s barrier function and helps your skin hold onto more moisture. The long, dreary winter months are often punctuated by long, dreary colds.You try and avoid illness by keeping your hands clean and by stocking up on vitamin C, but still you still somehow wind up ill.
You should try taking zinc. Zinc, of course, is an essential mineral that can only be obtained through diet. 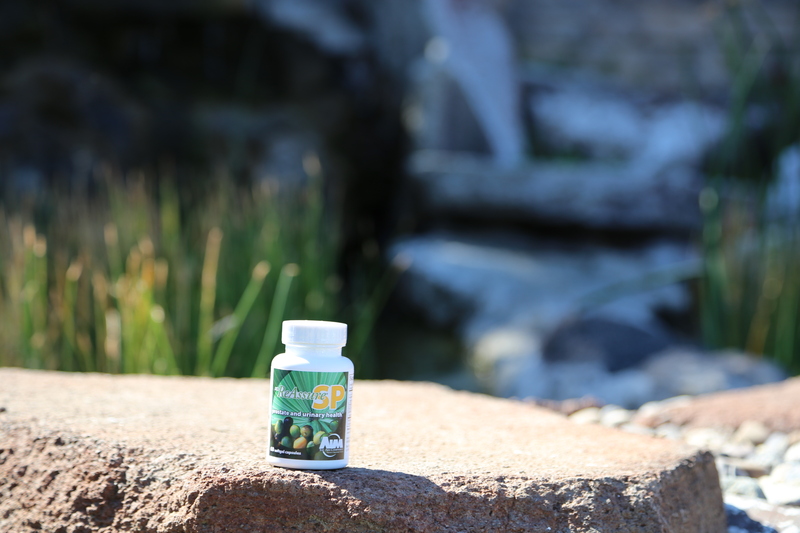 Zinc has been known to help with prostate, vision, reproductive and intestinal health, and it has also been found to boost the immune system. The Cochrane Review evaluated 15 scientific studies that had collected data from over 1,300 test subjects. The review determined that zinc consumption seemed to reduce the duration and severity of the common cold. People who took zinc were also less likely to get colds in the first place. 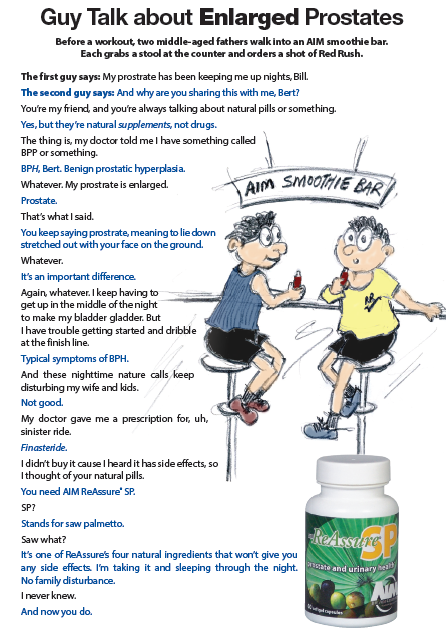 Because prostate issues become more likely with age, ReAssure SP might be the best supplement you can buy if you’re over the age of sixty. It contains 15 mg of zinc per capsule (100% RDA) as well as lycopene, saw palmetto extract and pumpkin seed oil, everything you need to ward off colds and stave off prostate issues.